Beautiful beach. Swimming, Restrooms, showers, fee parking. Less crowded, even at peak Season. Convenient, economical parking just across the street. Pizza place nearby. Decent shelling and beautiful sunsets await you. Over the past 40 years, the Suncoast Seabird Sanctuary has grown to be the largest avian hospital in North America based on the number of birds that are in our care. Between 30 to 50 birds are rescued daily and brought to our hospital for injuries ranging from fishing tackle, collisions with cars or buildings, and poisons in our environment. We successfully treat and return many of these birds to the wild to live a normal life. Over 90% of pelicans brought to us are rehabilitated and released. For some birds, full rehabilitation is not possible and they are invited to stay at the Sanctuary and assist us in educating the public about avian conservation. We have a lot of beaks to feed! Open 365 days a year - 9:00 am to Sunset - Admission is always FREE. 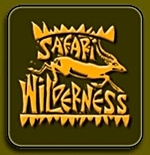 Safari Wilderness Ranch is not a zoo or theme park. There are no crowds and no lines. Here you will enjoy a natural adventure. Our knowledgeable and experienced driver guides will tour you through large herds of exotic game over 260 acres of pristine wilderness in customized safari vehicles, fitted with shade canopies and stadium seating. By reservation only. Nearly 50 acres of Olmsted gardens surround Pinewood Estate, a 1930s Mediterranean-style mansion, and the 205-foot art deco and neo-Gothic Singing Tower housing one of the world’s finest carillons with 60 bells that ring every half hour and during daily concerts. The National Historic Landmark was dedicated in 1929 as a gift from Dutch immigrant Edward Bok, a Pulitzer Prize-winning author and world peace advocate. Admission is $12 for adults and $3 for children.